In Brisbane, the president went out of his way to undermine Australian Prime Minister Tony Abbott. Why? President Obama over the weekend made a bizarre decision to attack and damage his closest ally in Asia, and one of the most committed supporters of U.S. foreign policy. 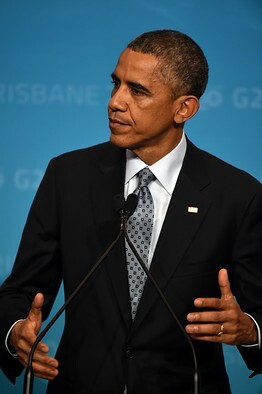 The president was in Australia for the G-20 Summit in Brisbane. Unlike Britain’s David Cameron , China’s Xi Jinping and India’s Narendra Modi, he apparently had no interest in speaking to the Australian Parliament or making a formal, bilateral visit to Australia while in town. Instead, Mr. Obama made a speech to an Australian version of his political core audience back home—undergraduates at a metropolitan university. Much of the speech at the University of Queensland in Brisbane was boilerplate. It lacked a plot but hit a few reliable notes, such as the U.S. commitment to Asia, defense of gay rights and the like. But the longest passage was an extraordinary riff on climate change that contained astonishing criticism—implied, but unmistakable—of the government led by Australian Prime Minister Tony Abbott. Mr. Obama lavished himself with praise for signing, a few days earlier, a climate-change agreement with China that imposes no obligations on Beijing until 2030, when the Chinese will notionally reach a peak in their carbon emissions. The U.S., on the other hand, under this deal will greatly reduce its emissions by 2025, though Mr. Obama won’t be in office then and Congress may be inclined not to authorize such cuts. Mr. Abbott is a sensible conservative, along the lines of Canada’s Stephen Harper . He accepts that climate change is a problem and that greenhouse-gas emissions should be reduced. He is skeptical of climate alarmism and does not believe that the solution lies in onerous carbon taxes or trading schemes in carbon permits, which are notoriously open to corruption and inherently ineffective. The prime minister won a big mandate in last year’s parliamentary elections to repeal the former Labor government’s carbon tax, which he did. But Mr. Abbott’s government has maintained the previous commitment to cut Australia’s carbon emissions by 5% from 2000 levels. Given the high growth rates of Australia’s population and its economy, this equates to a huge 19% cut from business as usual. In measuring countries’ responses to carbon emissions, it makes a big difference what year you use as the base. According to the Australian government, if 1990 is the base year, then by 2020 Australia will have cut its emissions by 4%, the U.S. by 5%. So Australia’s performance on carbon-emission reductions is comparable with America’s, and perfectly respectable. But Mr. Abbott doesn’t go in for climate-as-salvation, revival-meeting rhetoric. What he does do, unstintingly, is support U.S. interests and objectives. In June, when Mr. Abbott first visited Washington as prime minister, he offered Washington tangible support in the Middle East—special forces, advanced fighter jets and much else—even before the president had decided to take action against the Islamic State terrorist group. Mr. Abbott did this not because he was charmed by Mr. Obama but because he believes that the world benefits from U.S. leadership. He wanted the U.S. to know that in difficult places it doesn’t walk alone. Mr. Abbott has also done more than any regional leader to support the U.S. in Asia, and to support key U.S. strategic goals. He hosts U.S. troops and joint facilities. He publicly backs Japan’s reinterpretation of its constitution to allow it to participate in collective security and a properly mutual alliance with the U.S. Mr. Abbott’s government sternly criticized Beijing for declaring an Air Defense Identification Zone around the disputed Senkaku/Diaoyou Islands in the East China Sea. This is not without risk for Mr. Abbott. China is by far Australia’s biggest trading partner. In short there is no more reliable U.S. ally than Mr. Abbott. So as a reward the president in his speech roped Australia to the U.S., saying “one of the things we have in common is we produce a lot of carbon” and “we have not been the most energy-efficient of nations, which means we’ve got to step up.” Mr. Obama demanded that Australia follow, in a general way, the example he set with his carbon deal with China. He also repeatedly referred to the dangers that global warming poses to Queensland’s Great Barrier Reef. Australia’s carbon emissions are so low that any variation will make absolutely no difference to the fate of the Great Barrier Reef. But Mr. Obama, or his speech writers, knew that the reef has been a totemic issue in the debate on climate-change policy in Australia, used entirely by Mr. Abbott’s opponents to symbolize his supposed wickedness. Similarly, without scientific evidence, the president said that global warming “means longer droughts, more wildfires” in Australia. He then urged his young audience—“keep raising your voices”—to make sure that their political demands on climate change are met. How on earth could the White House think that blindsiding Mr. Abbott is a good idea? If the Obama White House cannot be bothered to manage the relationship with a close ally like Australia, how can it deal with the world’s real difficulties? As some congressional Democrats recently learned, the only thing fraught with more danger than being Mr. Obama’s enemy is being his friend. Mr. Sheridan is the foreign editor of the Australian. Posted on November 18, 2014, in Postings. Bookmark the permalink. Leave a comment.